Today was a bit different for me. FIL took my drum carder off last night to try out what he is calling “Plan F” to get it motorized. 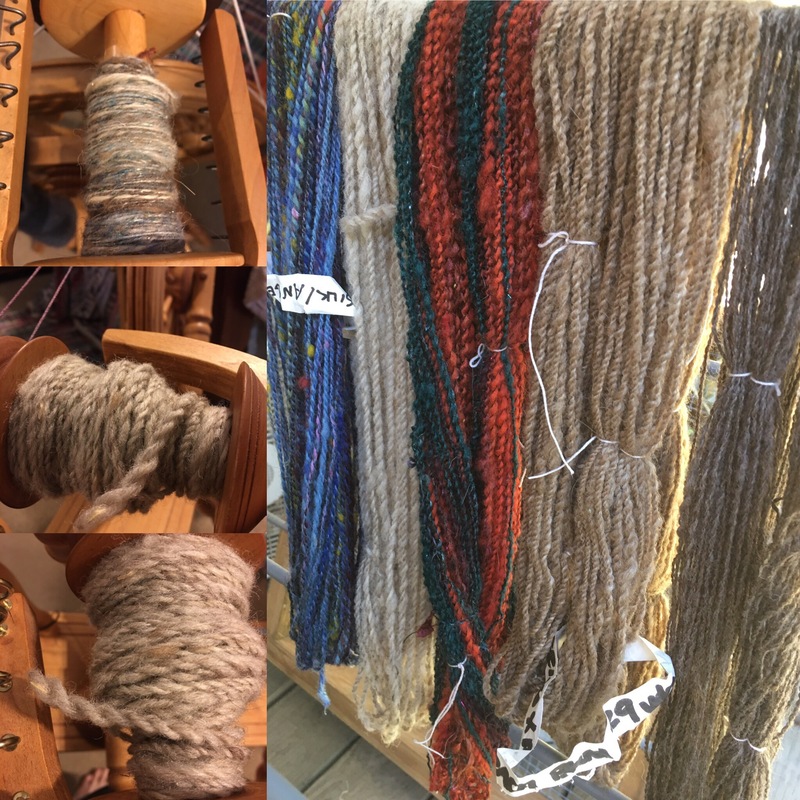 Since I didn’t have a drum carder, and no wool needed washed, I decided to spend the day spinning, plying and watching fiber videos. I watched the Craftsy class called Fiber Preparation for Spinning. I enjoyed learning the teachers perspective on drum carder and wool combs. Very informative. She was also from Mebane NC, which is where we lived before we moved to OK. That was neat. After that was over, I watched you tube videos by BlueMountain Handcrafts. I really enjoy her style of presentation, and she’s very informative. All in all, it was a great day. I think I’m the future, every Friday will be Fiberfest Friday. It was a great way to end the work week.